The shock announcement and soft launch of Supercell's Brawl Stars marks the developer's most explicit effort in mobile eSports to date. Competitive scenes have built up around Clash of Clans and Clash Royale previously, and there have even been official tournaments, but the real-time multiplayer shooting of Brawl Stars feels more immediately suited to this kind of play. It's certainly off to a flyer in Canada, topping the download charts and becoming a top 10 grosser in its first week. What do you think of Supercell's play for mobile eSports with Brawl Stars? Do you see the game making it to global launch, or falling victim to Supercell's famously ruthless approach to killing off projects? I’m in the process of writing a quick breakdown on it. First impressions are that it's fun, skillful and challenging. The gameplay itself is nice, the level design works well and your win condition is clear. This makes for great initial rounds and you start to learn and perfect your skills on each character. They’ve got even more out of synchronous multiplayer (technically impressive), but lag and some issues on 3G still really affect you in this game. The controls are not perfect. The joystick is better than touch, but longer game sessions hurt my poor little thumbs! Also, the metagame doesn’t quite feel full or built out - although I expect that to improve in a few updates. Overall, it’s a great game, but for me Clash Royale has greater longevity as I find it slightly more suited to mobile. Tom, we are making this competitive action game to help your poor little thumbs! The controls are 'tap left and right to turn', autorun, autofire. It's clear that Supercell had an intention to reinvent MOBA on mobile. It's clear that Supercell had an intention to reinvent MOBA on mobile. And I think it's good news for everyone who's making something new in mobile competitive games with third-person view. Supercell's involvement in this genre validates that we all are on the right track. I personally don't like 'bullet sponge' mechanics or any of the control methods, and they almost lost me during the tutorial. But some of my colleagues have actually enjoyed Brawl Stars and their new approach to MOBA on mobile. I have no doubts that this game is not making it to global launch. In the past they have been killing much more solid products, and Brawl Stars feels below their level in many aspects. It's hard to expect high retention, and even the characters and their animations are not exciting. Gave it a whirl today. I'm not a fan of the hectic gameplay and the joypad controls which I feel are likely to hurt the game's short term retention. The art style works better than I initially expected, though I suspect teenage and young adult MOBA players tend to favour darker, more badass characters. The retention and monetisation hooks are minimal at the moment. Their approach to obtaining new characters in a gacha that can be paid either in soft currency or hard currency is interesting, falling somewhere between a MOBA and Clash Royale. The game is number one for downloads and and fourth top grossing in Canada right now. That's very good, but the gameplay will make it unlikely to sustain a durable top 10 grossing position. I think Supercell will either kill it in soft launch or take the long view and accept a slower "build up" approach to give the game time to build itself a community with an eSport following and tournaments. Brawl Stars will be a very interesting game to watch over the course of the soft launch. For what has already been discussed, the controls and the progression systems are weaker than a normal Supercell game, and most likely will lower their revenue per player. Controls and the progression systems will be big weaknesses for this game. The gacha system in particular feels shallow. Dropping only one item, and having a likely single blue chip to directly purchase a character feels very punishing. This will most likely be the reason why Supercell would stop the game. This all being said, the game is ridiculously fun. Bold design, beautiful characters and 3v3 MOBA gameplay has never been so approachable. You can see the response in the streamer community - they are in love with this game. eSports and streaming is a definite angle for this game, and there's potential here that even with lower revenue per player, they're able to counteract that with a organically growing user base that sticks to the game simply because its community. Overall, I believe the controls and the progression systems will be big weaknesses for this game, and the question will be whether the community and eSports growth angle will be enough to counteract this. Not had a chance to play yet - but looking at the vast array of videos and it's obvious they completely understand what it takes to make this kind of game work. As has been said, it's obviously ridiculously fun. And I'm just watching it! I can't wait to actually give it a go. The pace of play seems to suit commentary and the characters are instantly identifiable (including the PlayerID). It looks incredibly intense during the play sessions, and the characters clearly open up fantastic choice for people with different game play styles. The rewards process, especially Gem Chests, seems very satisfying. One thing that I'm yet to discover is how much impact there is from levelling up your character. I had assumed that these kind of games should have players start on a level playing field, and any advantage at all raises accusations of 'pay-to-win'. That doesn't seem to be an issue here at all, probably because all options are available to all players. However, I'd need to play to better understand. The upgrade system looks very simple although I'm surprised not to see the unlock system from Clash Royale - which I still think is genius. Thumbsticks aren't my favourite method. Tap controls seem to work better for me, but none of the YouTubers I'm seeing play seem to have a problem and the sessions are so short I suspect its going to be fine. All in all, I think it's going be amazing! The game looks incredibly fun when you watch Supercell's video. FTUE is too short which leads to incredible confusion in the early game. The game is very punishing for new players who don't immediately acclimate to the controls and commit to a tactic. This will likely hurt D2 and D7 retention. It's hard to understand the difference between each of the game modes off the bat. They all feel the same. Although the events or "brawls" have different objectives, there's little direction for those players coming into a new brawl type for the first time. Character motion doesn't follow desired path without latency, and the virtual stick is designed poorly because often between controlling and shooting, you can't see what's going on as your thumbs are covering the action - especially with certain brawlers in close-quarter combat. Early-game experience and rewards structure doesn't feel rewarding at all. You often die easily, especially in brawl mode. And when you do win, the coin rewards aren't calibrated correctly. Eight coins for a win feels like an arbitrary number and not at all rewarding. Multiplying the rewards and costs of everything by 10 and inflating the economy overall seems like a good idea to make players feel they are making meaningful progress toward a gacha pull. Gacha doesn't feel very deep or well-calibrated. As Nicolas said, dropping one item feels like a let-down. You have to double-tap gacha reward boxes. This is something so many mobile games continually get wrong and I'm not quite sure why. I wouldn't be surprised if Supercell killed the game in soft launch. Having the box automatically open versus opening when tapped is a more rewarding experience and an easy change. It's a very small thing, but small annoyances add up when it comes to retention and more importantly, session time and number of sessions. But I do like that the life bar auto-refills, as otherwise this game would likely be too punishing for mobile - period. Overall, Supercell has its work cut out for it, both in recalibrating rewards and progression, and improving controls and gameplay. I wouldn't be surprised if they killed the game in soft launch, barring positive results from making these and other changes. I'm loving Brawl Stars. I think it has the potential to do for MOBAs what Plants vs. Zombies did for Tower Defense (e.g. bring it to the masses). The controls aren't perfect, but very functional. I love the way the game modes and maps rotate on a daily basis, and I've even noticed small changes to the maps each day, so with live data analysis and updating, these will only get better as time goes by. From a monetisation standpoint, it's extremely tight with what it gives the player - although we must remember it is in soft launch. I think this is partly to force the player to use different Brawlers once they have collected all the coins from a mode, as the best way to earn additional coins is to level up the various Brawlers. And I have no doubt the lack of coins is also enticing players to make a few IAPs - especially the coin doublers! 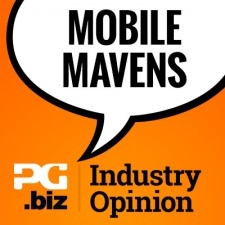 How big an impact will Facebook Instant Games have on mobile gaming? What's the value of a movie license for a free-to-play mobile game? I honestly hope SuperCell ends up releasing it just for the sake of disrupting or pushing the transformation of mobile games towards the eSports kingdom. Even if this is not a ''billion dollar game'', they would be educating/conquering the players as an strategy for a future, even more polished, perfect eSport product. Was really looking forward to know Matt Annal opinion on this, although he's not a product manager (something i see a lot in here) he is a beast on game design and very sensitive, legend says he also has special super-powers predicting the future.